Norwegian fishery and fish farm owner Prestfjord AS has chosen Asturian shipyard GONDAN for the construction of a complex and advanced stern trawler. 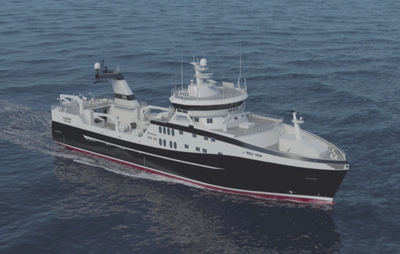 GONDAN will build an advanced stern trawler for Prestfjord AS, for whom the shipyard had already delivered another technologically advanced freezing stern trawler, Sunderøy. This new vessel, designed by Rolls Royce Marine - in charge also of supplying the main equipment - will have a length of 77.3 m and a beam of 17 m. Built in steel with aluminum superstructure, the stern trawler will operate in Arctic areas, in the Barents Sea and Svalbard waters. With an accommodation for 29 people, the freezing trawler will be operated for cod and prawns, as well as its processing. For this, it will have modern and automated fish processing equipment, including a meal plant, and a total hold capacity of 2250 m3. The vessel will be classified by the DNV and will be Ice class certified.